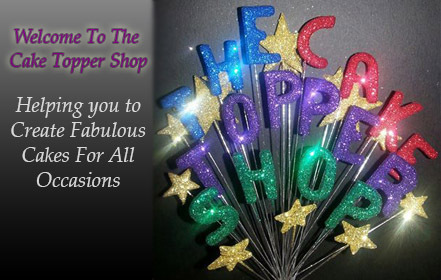 The Cake Topper Shop| Handcrafted glittered cake topper decorations. The Cake Topper Shop is a family run business based in Staffordshire and we have one of the largest cake topper ranges in Europe. All our cake toppers are handcrafted here in the workshop and are made to order.